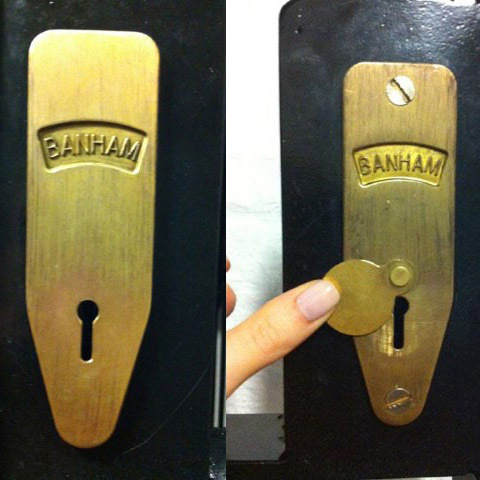 Banham Locks were founded in London in 1926. 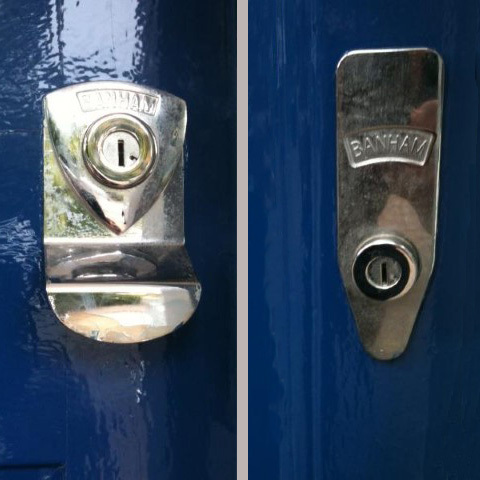 Respected in London and the South East for their famous high security Locks, Banham Locks are a brand to be reckoned with. 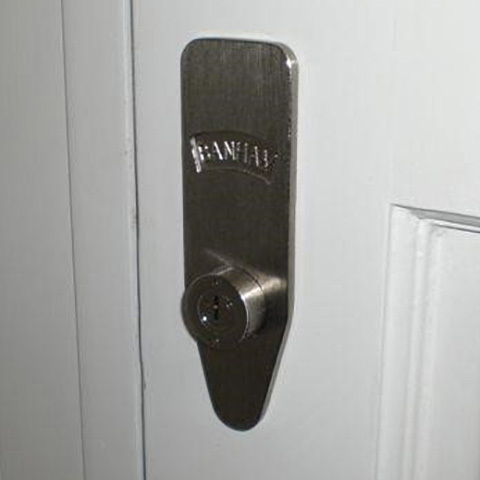 We are proud to fit Banham Locks in the London and Greater London area. 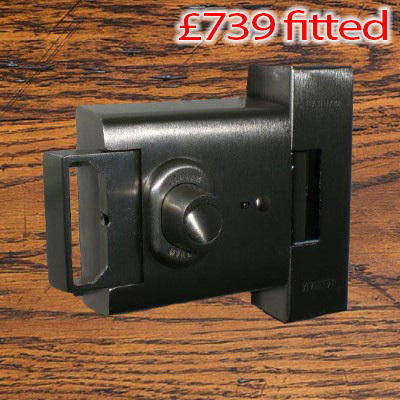 The Banham Nightlatch and the Banham Hook Bolt Mortice Lock. Often fitted in pairs, i.e. 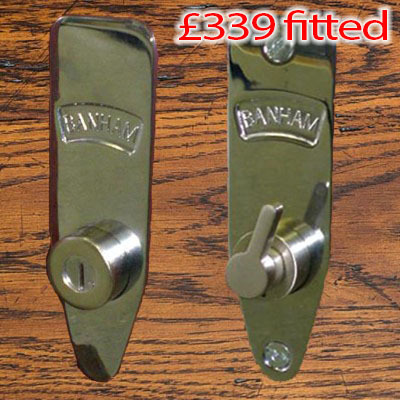 one Banham Nightlatch and one Banham Hook Bolt Mortice Lock which are keyed-alike for a one-key-solution. 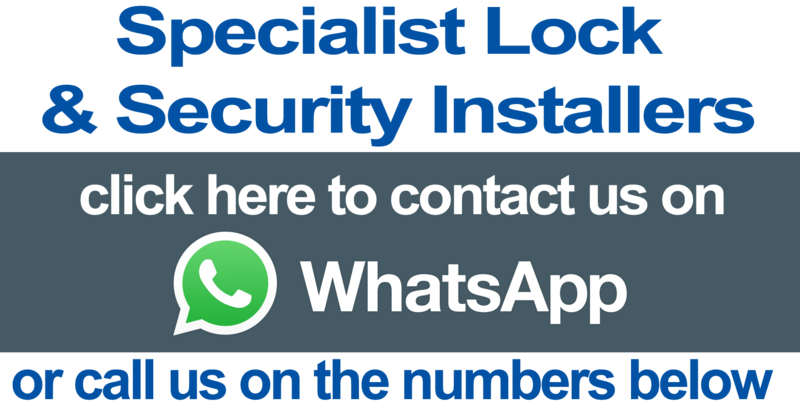 If you can ideally email us a photo of your door taken from the inside with the door shut from a distance of about 5 or 6 feet away, that would be ideal. 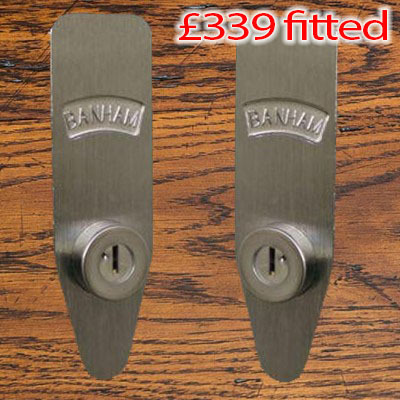 Banham Locks are available in a choice of five fabulous finishes. 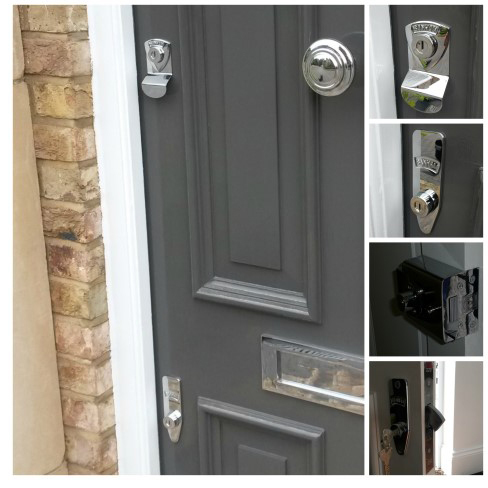 You can choose from Polished Chrome, Satin Chrome, Polished Brass, Satin Brass or Imitation Bronze (Please note that the Imitation Bronze finish carries a surcharge of £39). 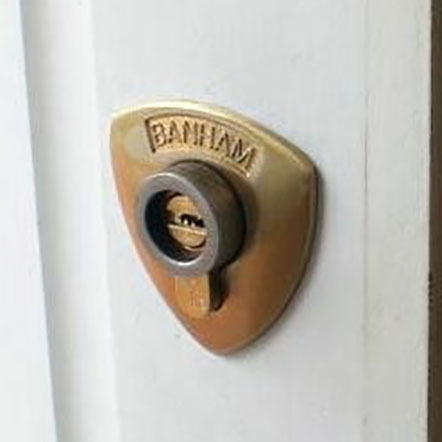 Banham M2003 (key operation from outside but a thumturn (keyless egress) option from the inside). 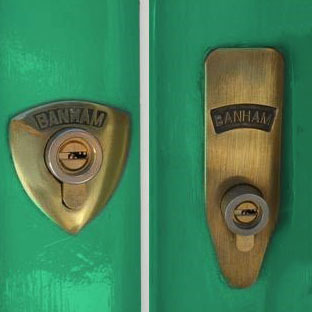 The Banham Nightlatch is called the Banham L2000. 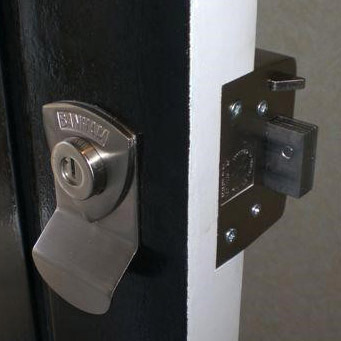 There is also a version for communal doors with an electric release plate mechanism called the Banham EL4000. 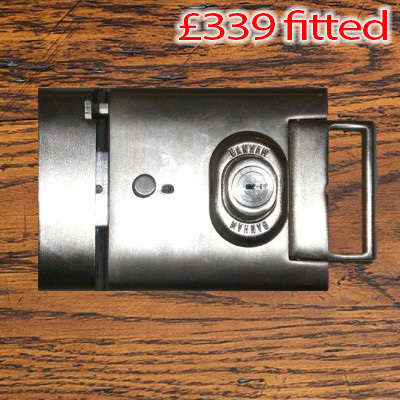 Below you will find the various models and the price shown is the price to supply and install the lock, so it includes parts and labour.